Join Us In Recognizing Estonia! Every year, one country's tax code receives the distinct honor of ranking #1 on our International Tax Competitiveness Index. This year, Estonia is that country. 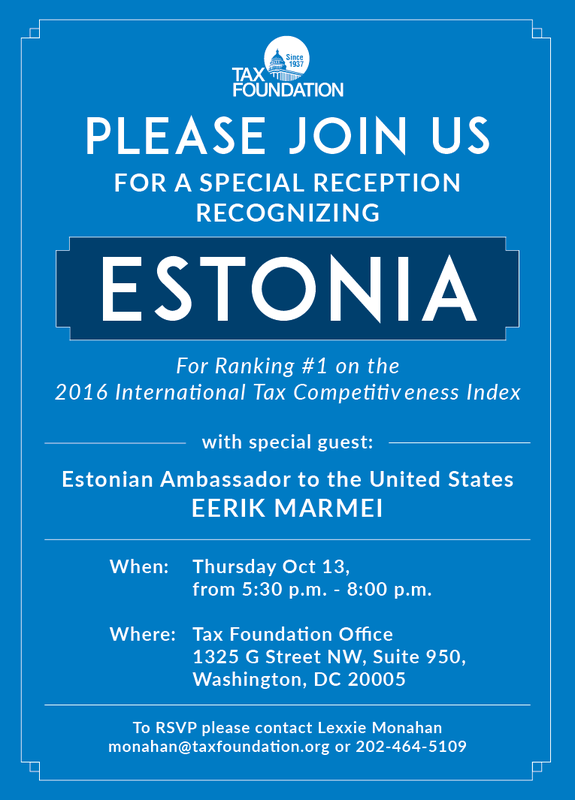 In order to recognize the great job Estonia has done in making their tax code competitive, the Tax Foundation will be hosting a celebration in their honor. If you're interested in attending, please RSVP below.